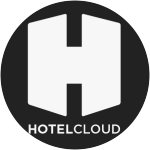 Hotelcloud helps lodging and travel organizations build the digital platform they need to interact and engage with their residents. and completely rethink the traditional way those organizations serve their customers. Think of us as an app a mobile app, a web app, a digital platform, a digital hub. Your guests expect the same quality they get when using Uber, Airbnb and other companies who invest a lot in user experience. You want to better inform, interact and sell? Our solution is made for you! Build a digital platform that lets you interact and engage with your residents.